Happy Sunday! 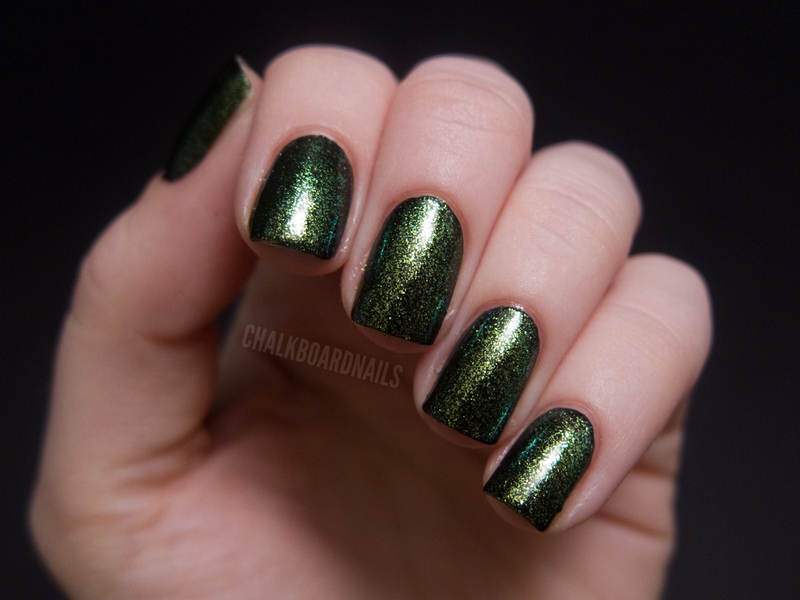 Today I have a swatch post for you guys of Nostalgic Lacquer's Underground. It is part of her Into the Labyrinth collection -- a collection of 3 color changing topcoats. 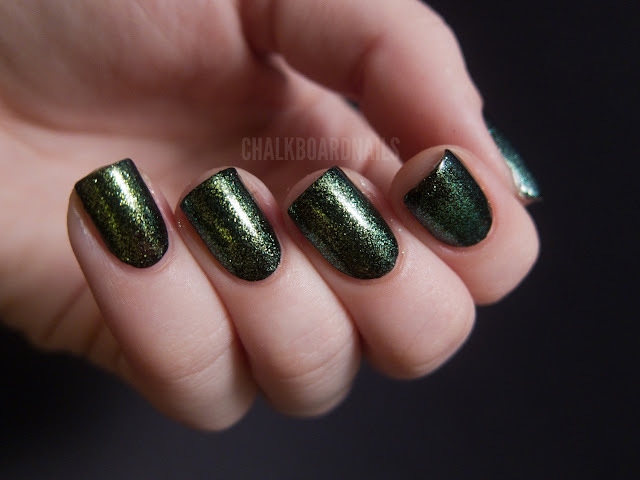 Erin describes Underground as a green to gold to blue topcoat, but to me it mostly just looked like green to gold. The effect of this is really nice; the flecks are large and bold. Kind of like CND's Shimmer effects on steroids! Application was nice, it went where I painted it on and I didn't have to worry about "placing" glitter. It definitely stood out with even just one coat, but I went with two coats over a black creme for a more visible swatch. Nostalgic Lacquer can be purchased on Etsy. 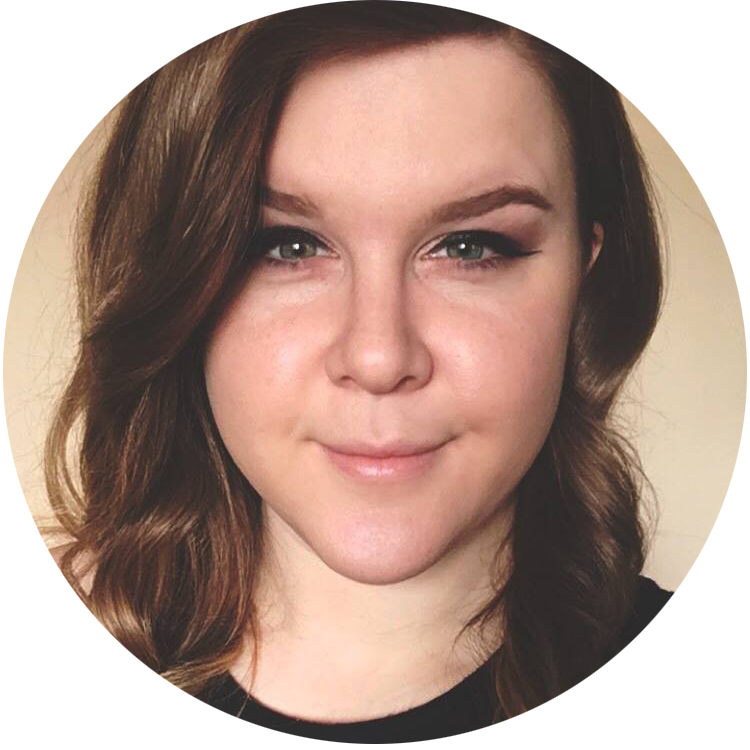 The shop is out of stock for now but keep your eye out on the shop bulletins and Erin's blog for further information. Can't believe I passed on these top coats. This is gorgeous!! Omg, so many great selfmade polishes from extremely talented ladies you're showing now!I love all these great etsy shops!